Gorgeous Crazy Lace Agate tumblestones, sold in two different sizes. 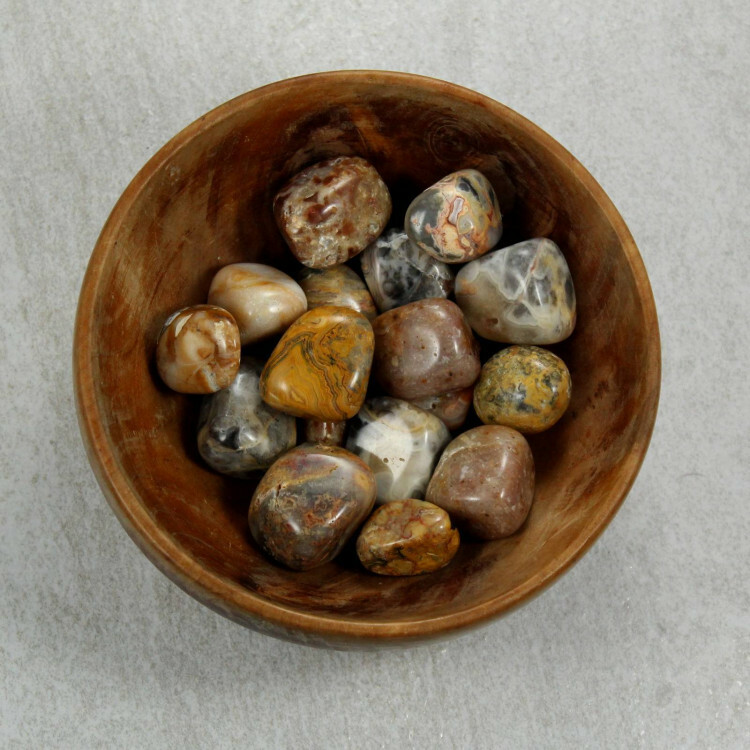 Gorgeous little tumbled Crazy Lace Agate pieces, sold in two sizes – 20-30MM medium and 30-40MM large tumblestones. 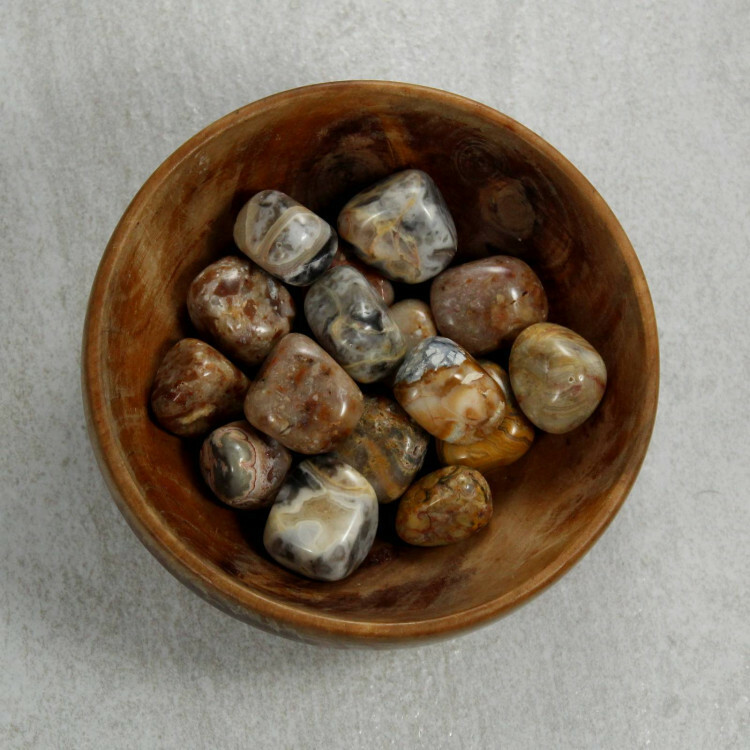 These stones range from a creamy white to a light brown and a light grey. The ‘crazy’ name comes from the muddled, mixed banding and patterns on the surface of the stone, which does catch the eye! 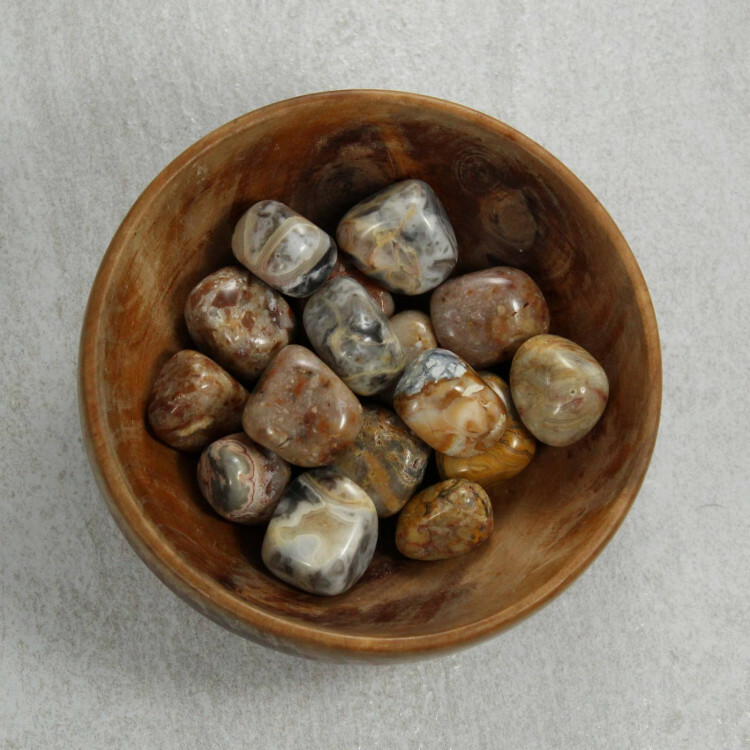 They make a nice display item in a bowl, or a vase, and are good contrast stones against something darker. As an Agate, they’re perfect for use in fishtanks and aquariums, too. For more information about Agate, please see our main Agate category.